MOORHEAD, Minn. (MSUM Athletics) — Minnesota State University Moorhead head track and field coach Ryan Milner has announced the signing of Shaquiel Higgs of McLean's Town, Bahamas for the 2018-19 season. Higgs, a sprinter, competed at Tabernacle Baptist Christian Academy. He has best times of 10.60 (100 meters), 21.81 (200m) and 49.97 (400m). 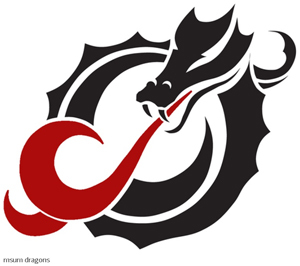 "I'm committed to reestablishing a strong Dragon sprints program and am excited to have Shaquiel, with his high level of competitive experience, be part of beginning that process," Milner said. "He has a high track IQ and great range with the ability to be highly competitive at the 100m, 200m and 400m distances. He's going to do great things as a Dragon."